Turns out, because I can’t help myself, I’ve got a project I’m launching next month. It’s a podcast (and accompanying Tiny Letter) which will be the interviews I’m undertaking in preparation for the long-laboured book I’ve been working on about raising feminist sons. 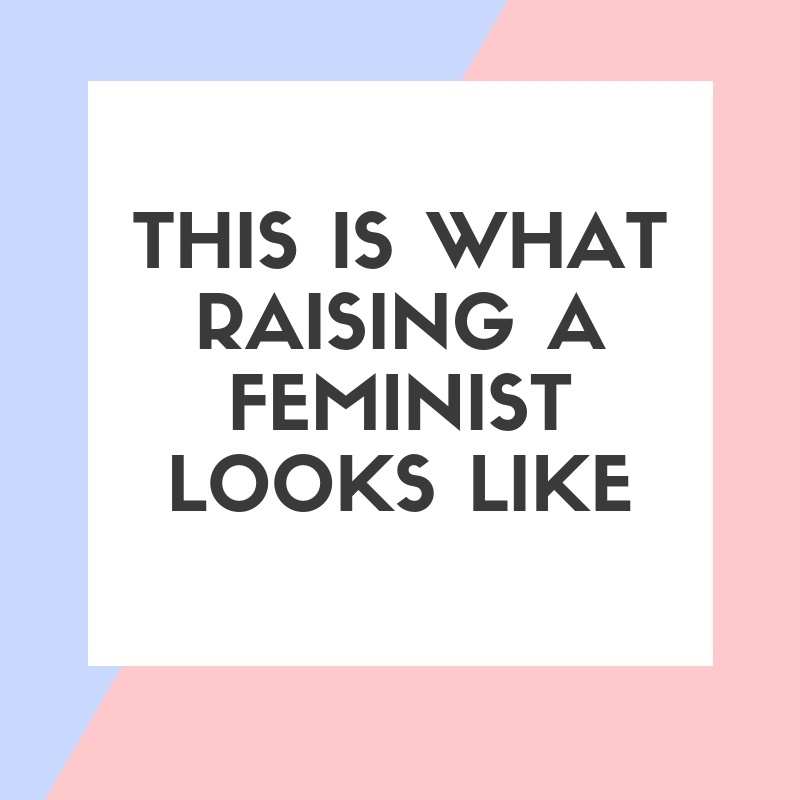 The podcast is called This is What Raising a Feminist Looks Like and the first episode will be live in early October. In the lead up I’m launching the Tiny Letter I’ll be sending our fortnightly to share links to the work of my guests, other articles of interest and events that might be of interest to the podcast audience. The best way to stay up to date with the podcast is to subscribe to the Tiny Letter and ‘like’ the Facebook page. For those not familiar with the Tiny Letter format it’s essentially a very short and sweet email that comes to your inbox. 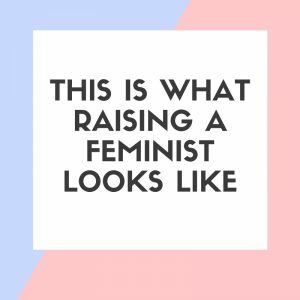 Feminist Family Salon: What is Feminist Parenting? Yesterday an idea that has slowly germinated and grown finally reached full bloom. 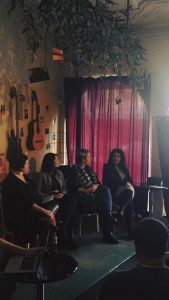 Our first Feminist Family Salon took place with a sold out audience and over 100 people watching the live stream of our event. Our guests Joyce Watts, Nelly Thomas and Amy Gray spent the better part of two hours talking with me about feminist parenting and the many aspects that we consider as we go about the business of helping our kids navigate the world. If you would like to watch the panel it is available as a Facebook video. Within the next month I will have it captioned so that our hearing impaired and deaf community members can enjoy it as well. It was frustrating not to be able to get too deep on some of the territory we ventured into, but as my co-creator Pia and I knew, there is too much to explore to ever feel like you’ve done it justice. 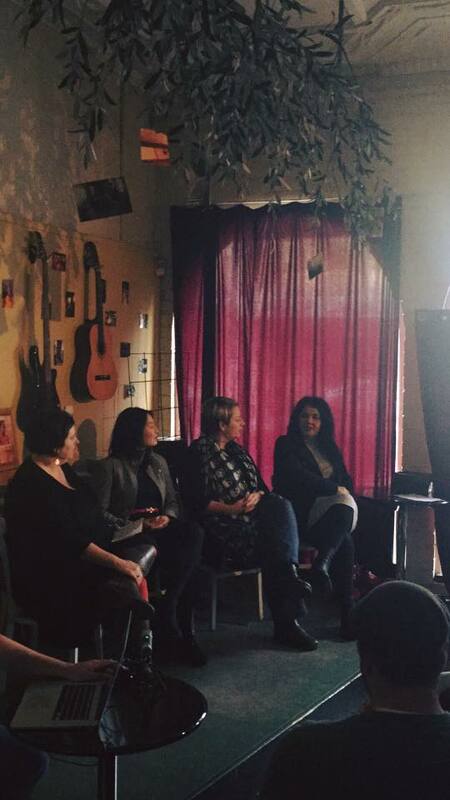 After such a resounding success for our first panel we’re keen to get our next event happening soon. There are a list of topics sitting there tempting us, so as soon as we can find the right venue (if only Farouk’s Olive could fit more people in!) we will be back with a new question to interrogate and a new panel to get our community thinking. I’ve been published in Junkee today, talking about what the recent incident with Lawrence Mooney says about sexism in Australian comedy. For men in comedy it’s an uncomfortable truth that even those who don’t sexually harass or intimidate women are complicit in a system that privileges them and their work. For men prepared to see this privilege, it is now incumbent upon them to be allies to the women in their industry and in audiences. I have spent many years promoting, producing, publishing and reviewing comedy. I absoloutely love the artform at its best and loathe the reality of our local industry. Too many cis-straight-white dudes dominating and making it hard for others to learn the craft and find audiences. One of the things I only really came to grips with after I moved away from the bulk of my comedy work was the sexism and misogyny. For women in the industry it is incredibly difficult to speak up about this because the punishment for doing so is harsh and real: you’re ostracised and your access to work is restricted. It’s not a deliberate campaign against you, it’s just that criticising those in power means they retract any support they may have offered. I hope this resonates for other women who are (or have been) in the local comedy community, and above all I hope this makes a few of the men in the industry think about their complicity in the system. This one was cathartic to write, because it touches on so many of my passions; writing, publishing, YA and kids books, feminism and wilful disregard of data. Head on over to the SBS website to read it in full. I’d love to hear your thoughts on the issue! This is an article I published at Limited News. I wanted to republish it here in full as I think it is vital to the ongoing conversation around gender equity in our industry. This comment is from a Facebook thread posing the question, “Is our publication guilty of gender bias?” Background: editor of The Lifted Brow, Samuel Cooney, had responded to criticism that the publication showed gender bias by counting up the numbers of published men and women for the last five issues, and posing the question to The Lifted Brow readership via its FB page… are we biased? I think it is great you are asking the question, and while I agree that these stats are better than most publications, it’s still not an ideal picture. The fact is that there isn’t one example where you have published MORE women than men. It’s not an accident that the stats fall this way, even if it isn’t a deliberate choice on the editorial team’s behalf. I think one of the most powerful things any publication can do is be explicit in welcoming pitches by women, and seeking out contributions from women. I read a great case study where a magazine had actively tried to do this. I’ll go search it out for you. Props for making the discussion public, and for taking the time to consider what is happening here. Interested in the developing conversation, I checked back every so often on the responses. Most seemed to be of the opinion that merit was all that mattered, with a few smatterings of agreement that the statistics probably showed some bias, though nowhere near as much as other publications. Then came the response about the numbers being a coincidence and my lack of proof for “gender bias” (quotation marks used by the commenter). I responded again. I’m not inferring there is something nefarious going on, I’m saying the statistics speak for themselves. If it was down to coincidence/chance the statistics don’t add up. 100% of the sample of issues given have a majority of male writers. Therefore there is gender bias. There are lots of reasons for why this could be the case. I’m not imagining an editorial meeting where the team sat down and decided to exclude women. If you take a look at any of the links myself and others have provided you will see that this is something reflected throughout almost all other publications, too. This further adds evidence that this is not a coincidence. This example is typical of the conversations which frequently occur when gender bias in publishing is raised. Anyone who dares to assert that the bias is there, it’s real and it matters is immediately met with howls of indignation. It’s not real (it is). Even if it was, it doesn’t matter (it does). Even if it is, women are at fault due to their own lack of motivation or their failure to lean in (they’re not). VIDA, an organisation for women in literature, has compiled statistics on the male/female ratios of some of the most high profile magazines in America over the last three years. These show, unequivocally, there is a huge disparity in the number of women published, and the number of women’s work covered/reviewed in these publications. The bias also exists in literature awards, where even when a woman does win, the media’s angle on the story is still about a man. And that’s where the conversation ends. Those people who recognise that the bias is real are so busy fighting the fight of whether it exists that we don’t ever get the space to deal with the next, and most important question: it is real, so what do we do about it? In my day job, I run loads of events featuring writers. Workshops, panels, Q&As, development programs. I aim to have gender equality in every single one. Just last week, when looking for judges for an upcoming prize, I wrote down the first names that came to mind for the judging panel. The list was three men, one woman. Instead of accepting that these people were automatically the best people for the job because I had thought of them first, I looked at the list, saw the inequality, and hit the internet to research. Who else was an expert in this particular field? What women had experience that would be ideal for the panel? I came up with a more balanced list. I weighed the experience of each of the people, and selected two women and two men with complimentary experience and skills. Too many people think that searching out women to publish, or include as experts on panels, is about accepting “lesser” candidates. It’s not. It’s about accepting that even if you don’t know who they are, there are women in every field doing exceptional work, and it’s up to you to find and include them. This is a responsibility we all need to take on. If you don’t believe in counting up the numbers and selecting pieces because of the writer’s gender, then what’s your suggestion? If you don’t believe that affirmative publishing action is the way to open up space for women to publish, what is? Until you can offer me some answer, some solution, some action that you want to take, don’t rest at telling me what isn’t the answer. Think harder. Find your own solutions. I’ll support those too if they lead to greater participation by women in publishing. While women should and must continue to submit their work, fighting doubly and triply hard to share their stories with the world, we need to keep in mind that the inequality in submitting and publishing cannot be explained only by women’s bad thinking habits. Telling us to “Toughen up!” or “Get out there and submit more!” is wonderful and encouraging advice. But we must not lose sight of the larger forces – economic, social, commercial – which act against women who wish to be artists. VIDA co-director Erica Belieu told The Guardian VIDA aims to ask the questions, “Why are women generally more willing to read across gender? How do we teach our sons to be readers across gender? If women don’t submit as frequently to magazines and contests, why is this? What can we do to help editors develop more women writers for their publications? What can we do to help them to understand why it’s important to do so?” By examining these, perhaps we can start to find solutions. Some individuals and publications certainly have. Two women from the organisation Women in Letters and Literature Arts mentor other female poets, and guest edited an edition of Connotation Press featuring these women. 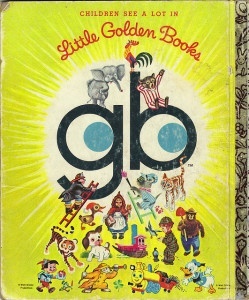 Editor of The Lifted Brow, Samuel Cooney, took action by starting a discussion with the community of his publication. Clem Bastow wrote a piece for Daily Life shining light on the inequity in gender in opinion pieces in our major newspapers. Other publications came out and voluntarily released their own VIDA count statistics for comparison. Every editor should read this truly remarkable piece from author Annie Finch which outlines, in painstaking detail, what they should be doing to increase the number of women published on their pages. It is a blueprint for how to address these problems, leaving no excuses for editors who shrug their shoulders and claim there is nothing they can do. There have been some excellent local initiatives to promote women’s writing in Australia over the last few years. From the recently awarded Stella Prize to the Australian Women Writers Challenge, people have banded together to highlight how fantastic the writing by women is in this country. Is it a coincidence that the number of women in this year’s Miles Franklin has risen from zero in both 2009 and 2011 to eight (out of ten) in only two years? I don’t think so. I think it is because we’ve shone the spotlight on this issue. We’ve talked about the lack of equality. We’ve debated the issue. We’ve tried to address it. You might not believe a women’s literature prize is the way to do that, and that’s fine. You might think that selecting what you read on the basis of gender is a waste of time, and that’s fine too. But don’t just give up. Don’t say nothing can be done. Keep talking about it. Keep looking for solutions that will see an equal number of women and men getting opportunities to publish and having attention paid to their work.